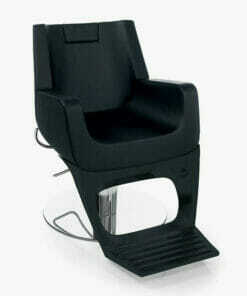 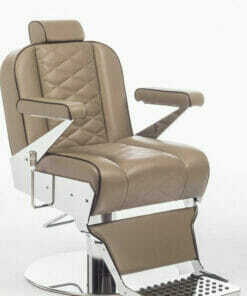 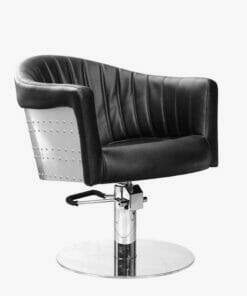 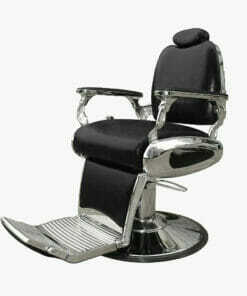 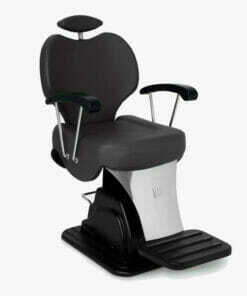 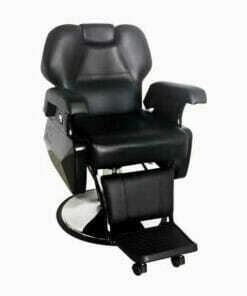 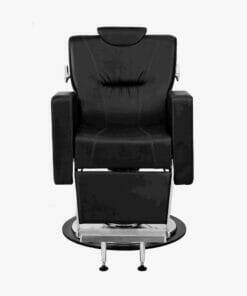 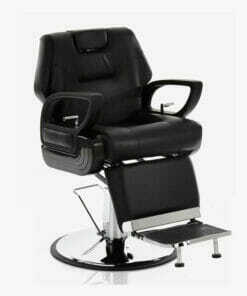 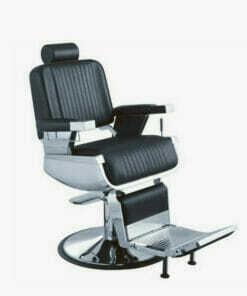 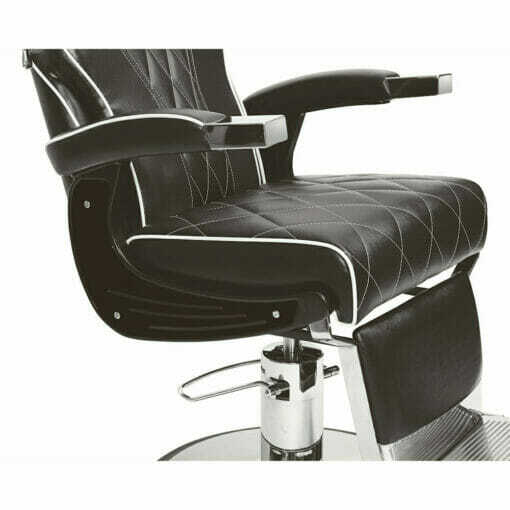 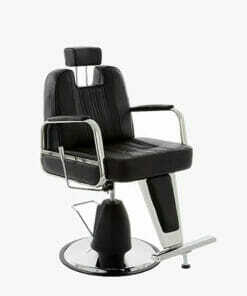 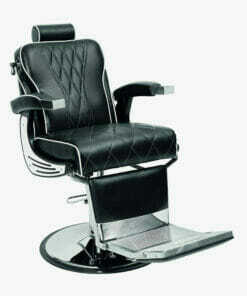 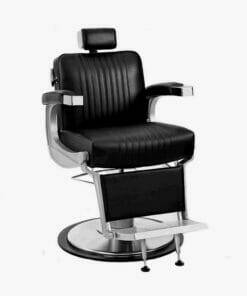 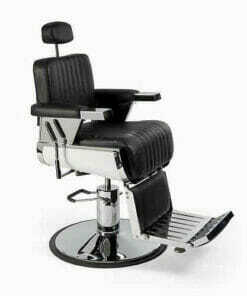 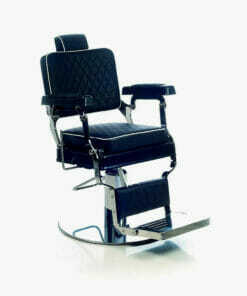 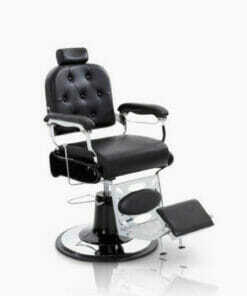 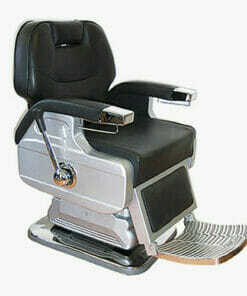 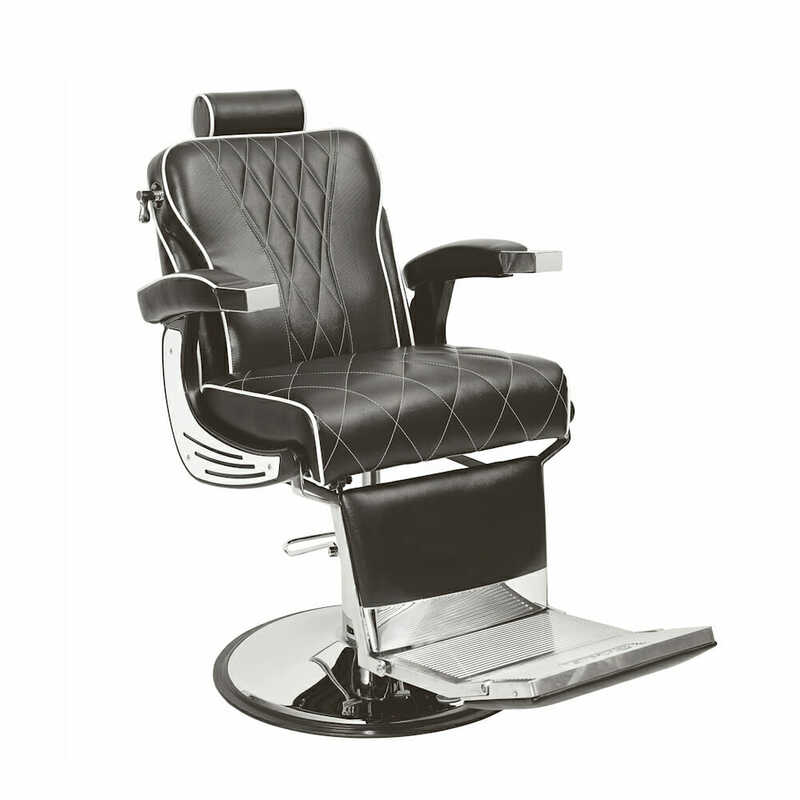 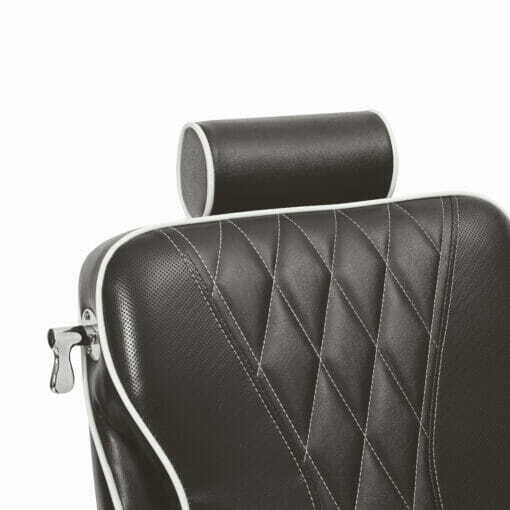 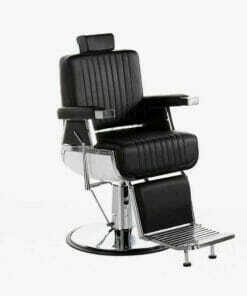 Sibel Barburys Aston Barbers Chair, luxury barbers chair with unique detail stitching and white piping on seat edges and the unique feature of the aston barbers chair is the ability to interchange the double sided panels on the side of the chair that cradle the seat cushion from black to white. 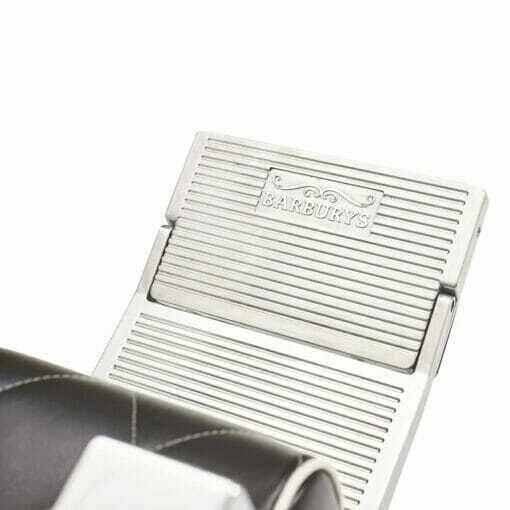 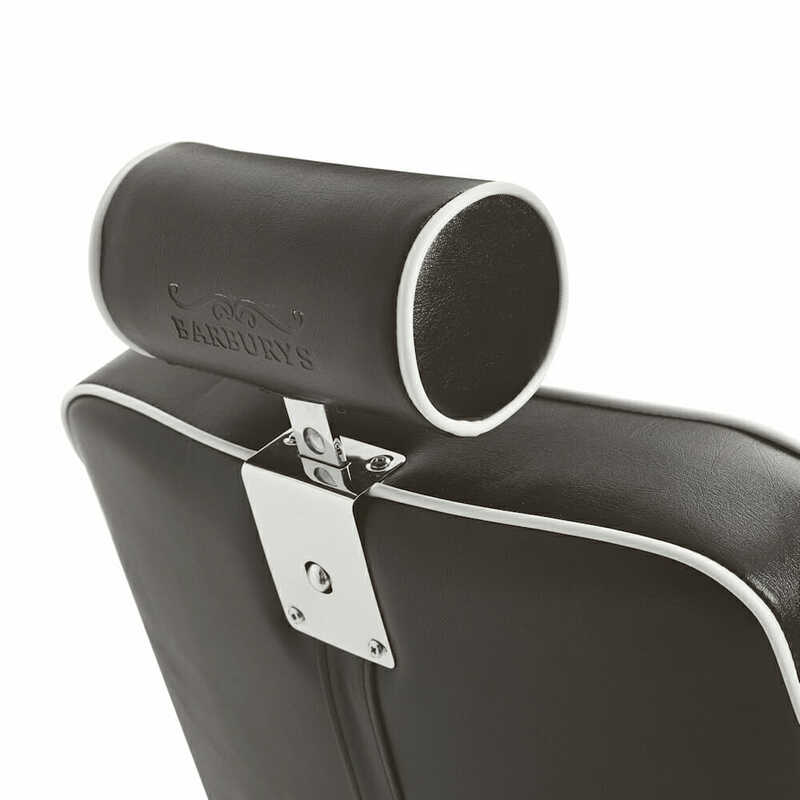 the Aston also has a large aluminium footrest with barburys logo on. 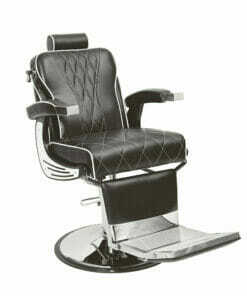 Dimensions height 112cm – 130cm, seat width 55cm, base width 68cm.